Hey everyone! I am finally back in the city, just arrived to find a white and cold New York! One of the things that can be annoying is planning transportation to and from the airport. The most comfortable way might be hailing a yellow cab that will drive you directly there… but at a $60 price, it’s not the most affordable way. In the other end, subway can get you there. While cheap, it is also highly uncomfortable, especially if you’re carrying luggage with you. There’s one service that I find to be the most effective: the Super Shuttle. This is a service you can book online, for about $25 each way (that’s about what you would pay for the bus.) It’s a van that picks up a group of people in different locations around the city and take them to the airport. The same for the other way around. I have used it for all my latest trips and it has always been very reliable. 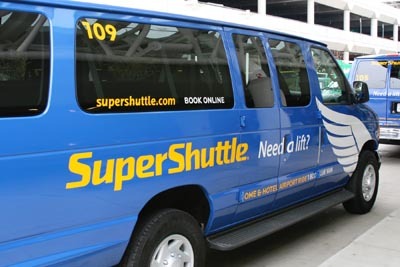 You book your ride at supershuttle.com. When you specify your flight, it will give you a few pick-up time options. They usually come within a window of 15 minutes around that time. From my experience, they have always been in the earlier side of the window. 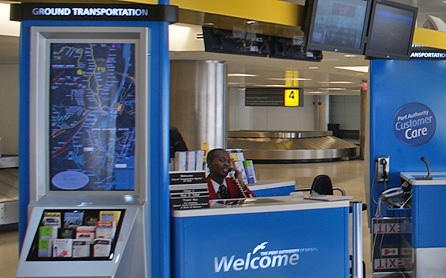 When you arrive at the airport, there’s a designated area for ground transportation. You just need to let them know you’re there, and the next Super Shuttle bus available will take you to the city. 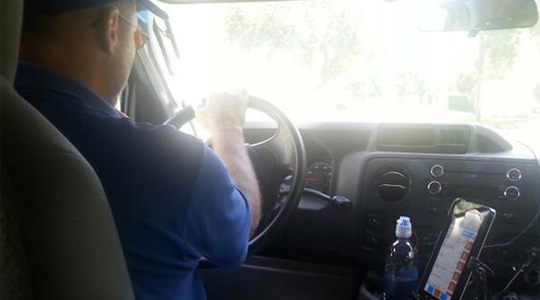 They already have your address in the system, so the driver already knows where to take you. Today I only waited about 15 minutes, and I was on my way home. I was lucky that my apartment was the first stop, so I didn’t have to wait for others to get off! I really like this service because it allows me to relax, knowing that someone is picking me up to go to the airport. They call you when your van is arriving, and you can even track it online and see where it is. For the price, I would say it’s the most convenient way. 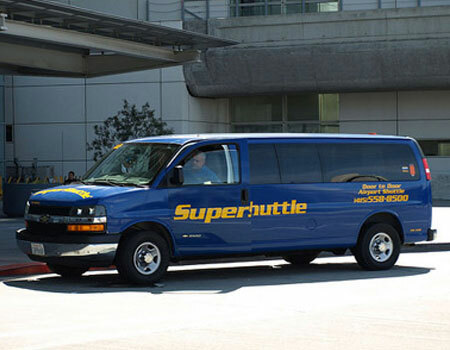 For all of you traveling these days, have a safe trip and keep Super Shuttle in mind for your next airport ride! Thanks for reading and see you soon! Previous Post Spanish Food Special! Next Post Coldest Day in NYC for over 100 Years!